I'm excited about this shirt. 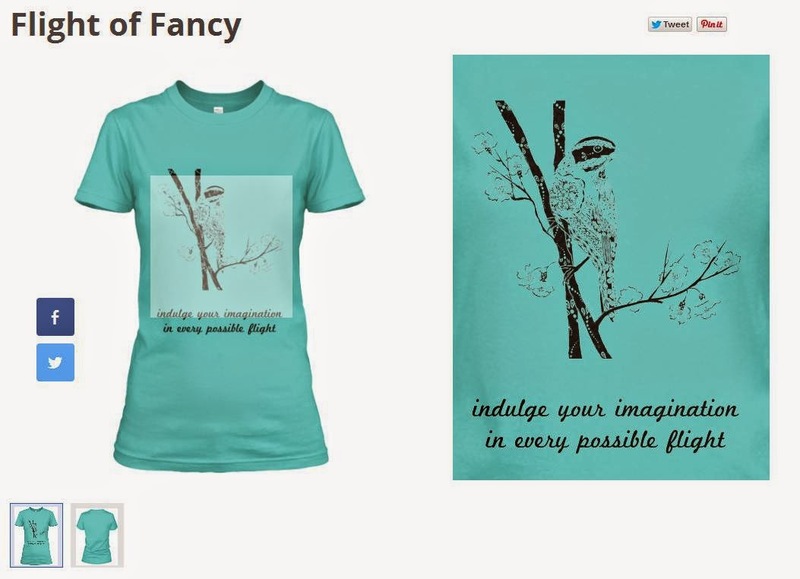 It uses the beautiful bird that Cady Driver drew for us and a quote from my favorite author, Jane Austen. It's available in a couple different colors, long or short sleeve. This effort is helping me keep up hope. The holidays are harder when there are no children to share it with.. Fortunately, we have some amazing nieces and nephews. It's been a long time that we have been hoping to adopt and feeling the support of our friends, family, and strangers helps me keep my spirits up. Someday I be a mother and there is some amazing woman who will become our birth mother and hopefully be counted among our best friends. Will you indulge in a flight of fancy?